A helipad is a specially designated landing pad for helicopters. 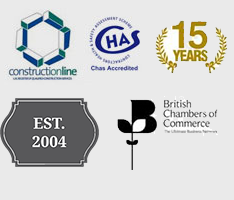 They usually follow a standard design of a round circle with a large letter ‘H’ on it. Helicopters are vulnerable to obstacles when landing, so a clearly marked landing space is necessary. 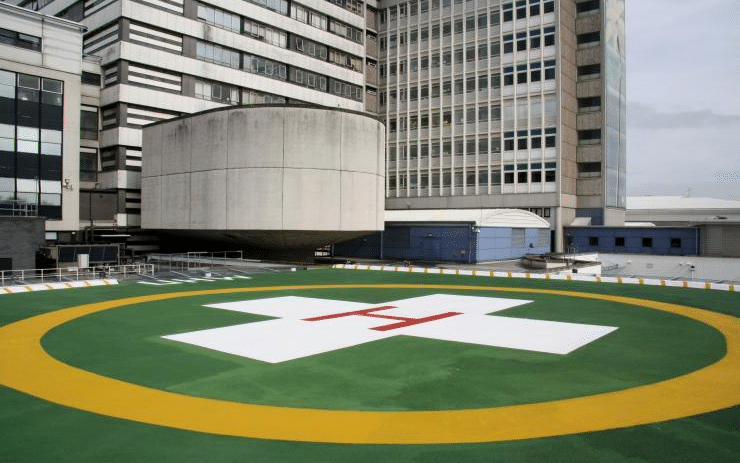 Helipads can be found at hospitals, hotels, and a variety of businesses and venues, either in the grounds or on top of buildings. They are also widely used at military installations and on ships. The first helipads were used in the Korean War in the early 1950s when the US Army used helicopters to evacuate wounded soldiers from the frontline battlefields. Without a clear landing area, the helicopters would not have been able to land safely in the country’s mountainous terrain. The use of helipads for helicopters was further expanded during the Vietnam War when they were used to move troops and military supplies around the country. This entry was posted in Helipads and tagged helipad, helipads, history, origin of helipads. Bookmark the permalink.